According to New York Times source, Google just acquired Slide, a social networking gaming startup founded by Max Levchin. The New York Times reports the sale price as $228 million, while TechCrunch hears it’s more like $182 million. That’s a big enough disparity that we’ll hold off on any kind of cost-based analysis, but the independent reports do suggest that the acquisition is very real. 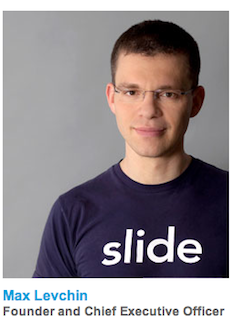 Slide, the brainchild of ex-PayPal employee Levchin, began as a third-party photo sharing service, but soon diversified into a more lucrative arena: Facebook applications. Slide is best known for apps such as SuperPoke and SPP Ranch, which allows users to exchange virtual money for goods. The name comes from one of the startup’s first projects, an app that allowed users to insert slideshows into MySpace pages. The purchase of Slide is a keen move for Google, which has been working toward the launch of a social gaming platform for years now. Google has already invested a significant amount (around $150 million) in Zynga, the most talked-about startup in social games. Google notes that it’s not trying to compete with Facebook directly, but that a social gaming platform might just be in its future. This is only the latest in a raft of social game company acquisitions by giant firms. Disney bought Playdom, Facebook has set up a long-term partnership with Zynga, and EA bought PlayFish. It only makes sense that Google would want a developer all its own.